Do you want to learn how to use the Rapid Fire Hunter Star Ruler? Be sure to join Peggy for the Rapid Fire Hunter Star ruler Workshop. During the two session class you will learn how easy it is to make a Hunter Star Block using the Hunter Star Ruler. 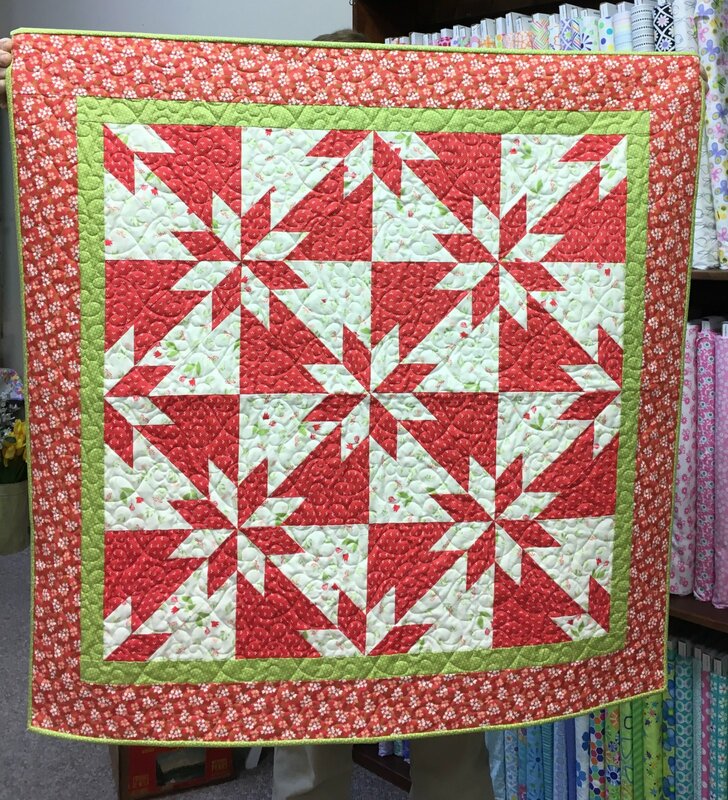 You can make a two, three or four fabric star block, you can make your blocks any size, and you can make as many blocks you desire. Skill Details: Beginner with some quilting experience. You will need to know how to rotary cut and sew an accurate 1/4 seam allowance. Requirements: Rapid Fire Hunter Star Ruler, either the Large or Petite. Fabric requirements for the quilt project you want to make, Sewing machine, rotary cutter and basic sewing supplies.